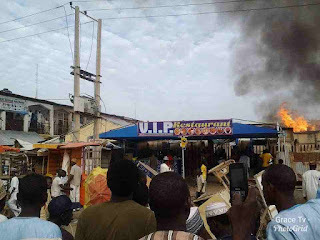 A 3-month-old baby, Mohammed Sani, was burnt to death in a fire outbreak in Kano on Tuesday February 5th. According to reports, Mohammed's parents lived in a two-bedroom apartment at Sheka Yar’ Kasuwa in Kumbotso Local Government Area of Kano where the fire started. The mother of the child was the only one at home and had run out of the house in search of help from neighbours when the fire started. Unfortunately, the child died in the raging fire before men of the state fire service could contain it.